In search of a new approach to the exhibition, its architecture, design, curation and enterprise, the studio will take a deep dive into establishing holistic architectural methods of design that address the position of the human body and perception. Factors like procession/recession, perspective, lighting, display and many others will aid the emergence of new architectural form and experience while developing a contemporary position of the exhibition in the architectural discourse. This framework coupled with a series of historical references will be at the forefront of class agenda deriving exercises that are set to deliver critical two and three-dimensional outcomes. Production of these outcomes will be used as testing ground for defining the role of perception in forming a comprehensive approach to the architectural exhibition.In an effort to perform a series of curatorial, perceptual and narrational experiments, the studio will ask students to engage two specific problems within the context of exhibition design: the curatorial paradox and architecture as content. 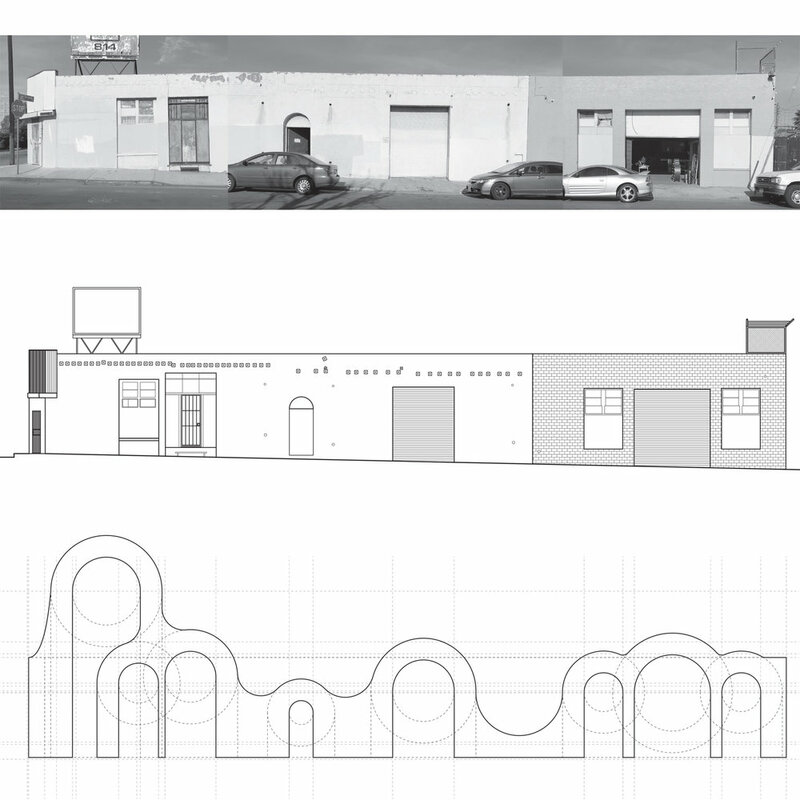 specific, in a highly articulated prototype that works: an alternative educational & learning facility for Los Angeles. As an introduction to architectural drawing this class will focus on the foundational drawing methodology of orthographic projection through the study of objects whose sides are not ninety degrees to one another. The resistance of these objects to orthogonal views will require an inventive engagement with the rigors of orthographic projection to fully understand their metric properties. The primary technique of drawing that will be deployed in this process is the unfolded drawing. The unfolded drawing can be found throughout the history of architectural representation. It has been used to unfold the three-dimensionally curving surfaces into templates for cutting stone as well as the unfolding of interior elevations. 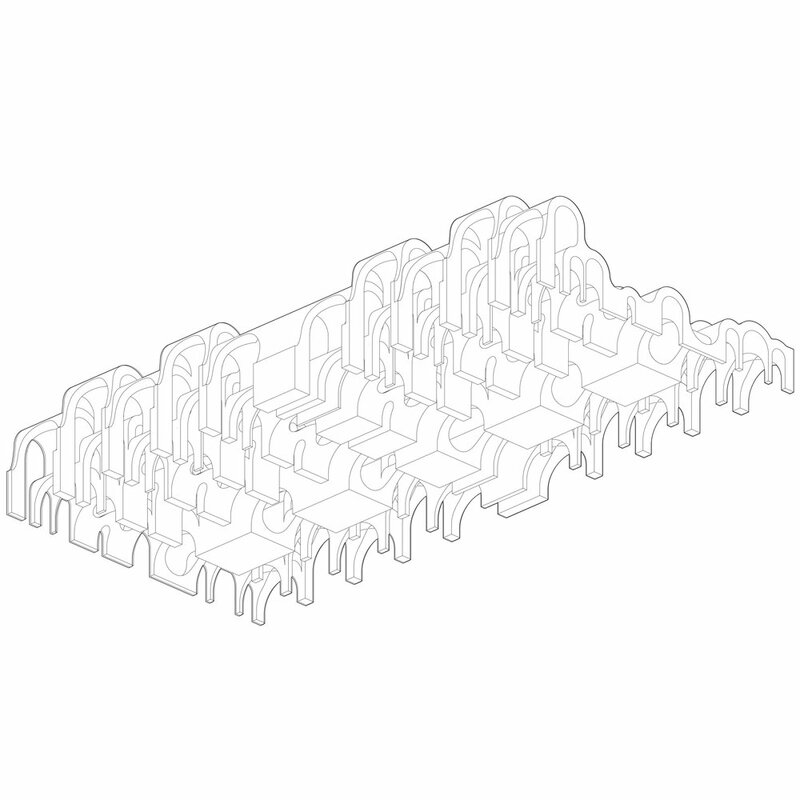 Unfolded drawings, are orthographic drawings, but they depend on set of interconnected ninety degree hinges that connect views of the object. Plan and section are not simply aligned but instead fold out of one another in strict adherence to the geometry of the object under study. In lieu of page orientation, or an assumed ground plane, students will learn to use orthographic drawing to develop and describe an object based on its internal geometry. Architectural drawings will be understood not as a set of codified types, but rather as a malleable set of geometric relationships capable of describing any object. The circle, perhaps architecture’s first curve, has no known point of origin, and has been variously praised, deformed, and denied in the past 400 years of architectural discourse. During the Renaissance architects such as Alberti and Palladio asserted its perfection. Later the architects of the Baroque period such Guarini and Borromini, sought out derivations and deformations of the circle as the generator of form. In the late 1990’s, the architect Greg Lynn used it as marker of the static geometries of the past and sharply contrasted it with the emerging “fluid” geometries of the spline curve. 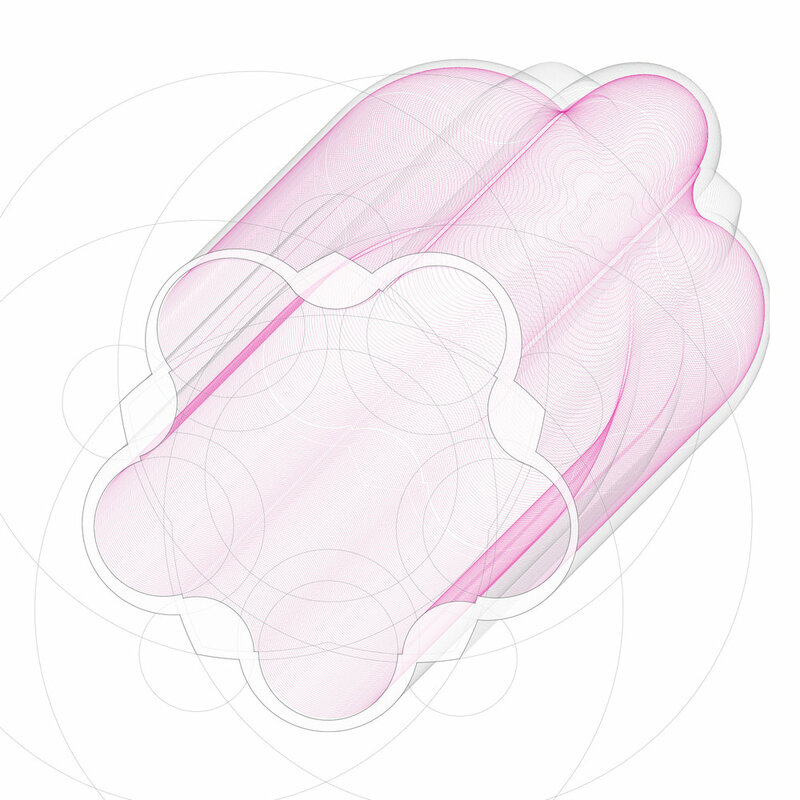 Some contemporary practices have turned back to curves and curved surfaces derived from conic sections, in attempt to reengage discussions of curvature with issues of structure. In all cases, the circle, and more generally, the curve has been a contested territory of formal and theoretical debate. Curves then are not simply loose figures but rather precise sets of geometric relationships that are intentionally defined through a careful process of description. The selection of a curve type and its deployment in the production of an architectural project engenders specific formal relationships both interior and exterior to proposed project. Unlike a straight line, a curve offers difference between one side and the other. One side is convex, while the other is concave. Furthermore a curved line within rectilinear site boundary structures a relationship of difference and distinction between the object of the building and the site boundaries that contains it. In lieu of sameness it asserts its limits and distinctness from the surrounding territory. 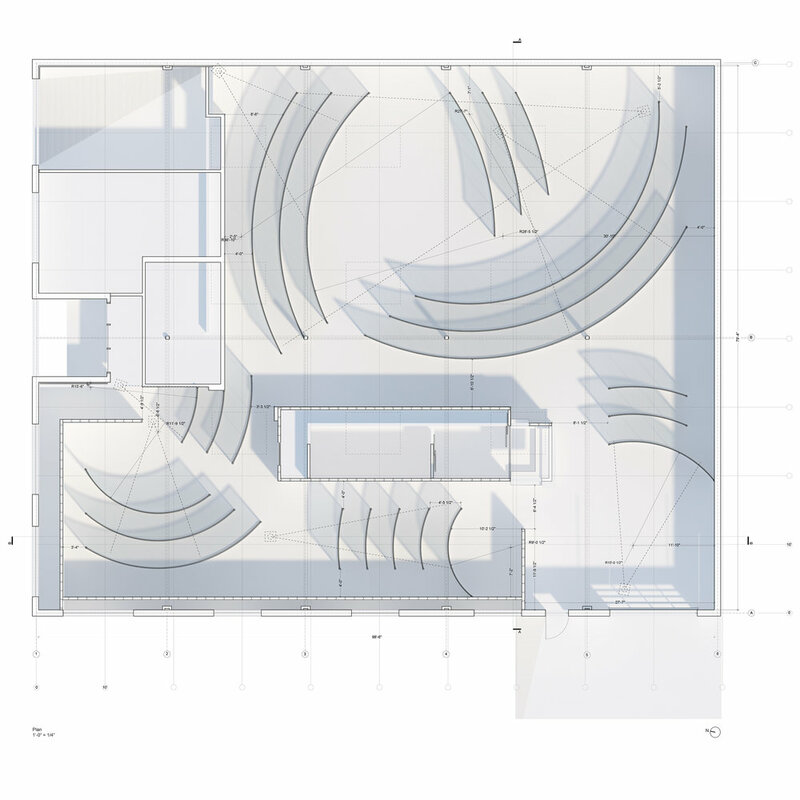 This studio will use curvature to introduce students to the architectural discourse of geometry as a means of engaging form, interiority, and the city. 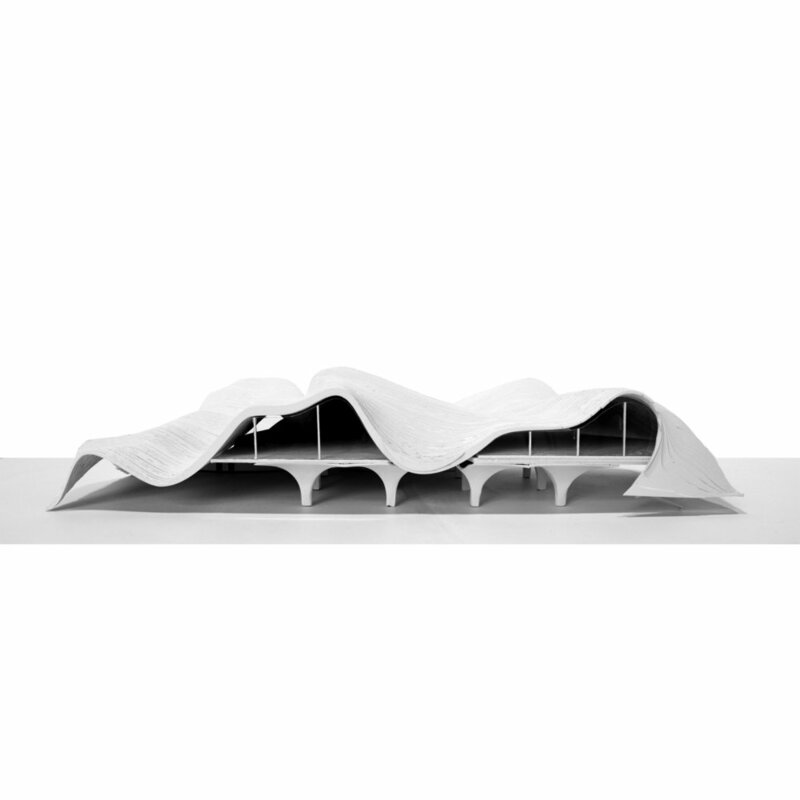 Issues of circulation, building mass, frame, enclosure, and ground will be studied through the development of architectural proposals that use the description of curvature as it primary means of formal development. 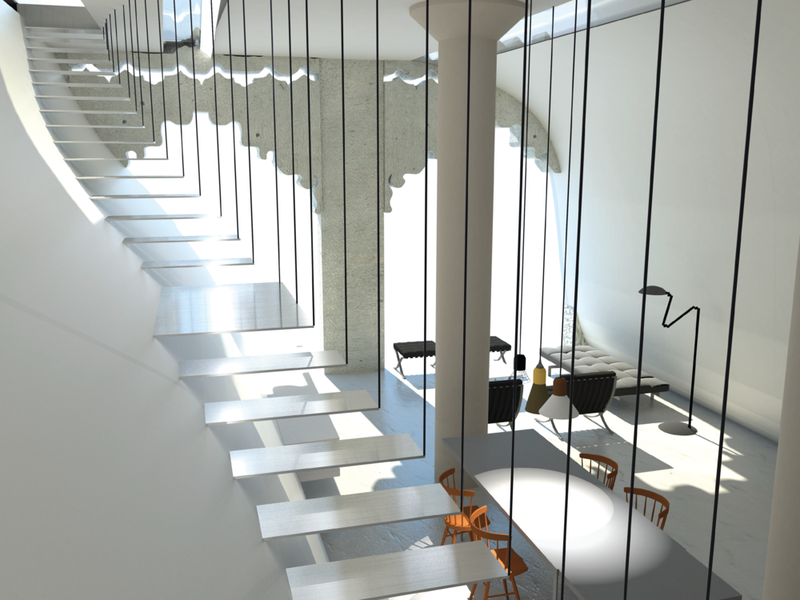 The studio will begin with a study of two- and three-dimensional methods of curve description and quickly shift into the development of architectural objects with interior conditions. Throughout the course of semester students will be asked to relate drawing technique and form to a specific agenda framed within the limited context of the studio. Specifically, students will be asked to develop an argument around curvature and its engagement with form, interiority, and the city. In the ever-growing heart of downtown Los Angeles' garment district the demand for expansion of adaptive reuse is permeating the bounds of the historically commercial zone. The conversion of old, often abandoned, buildings into lofts has become the new vernacular of downtown in the past fifteen years. Following this model, the studio intends to negotiate high demands for housing with an existing and thriving commercial district. 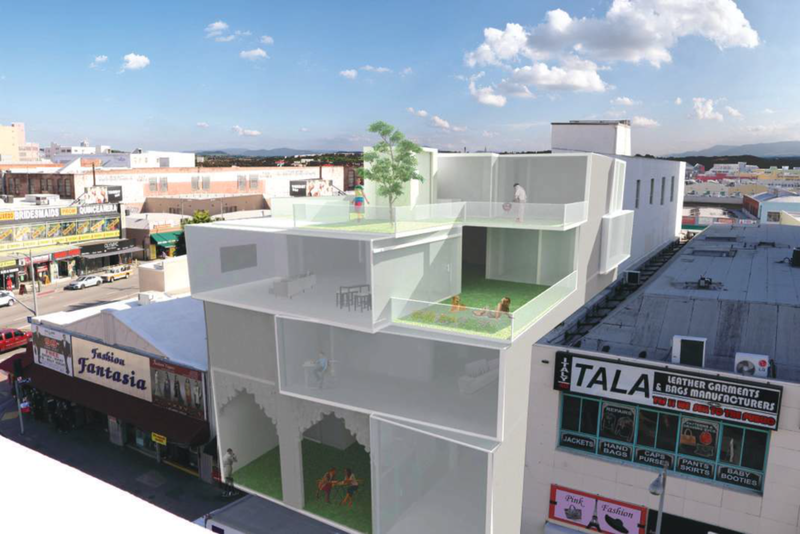 Students are assigned a specific mid-rise building nested between Santee Alley and Santee Street where hyperactive ground level businesses operate on a daily basis to convert into live/work units. 1010 Santee Street, a formerly clothing manufacturing building extends to both thoroughfares allowing students to decided which facade to develop. Once split, the building must house total of three units. Each student then develops a set of specific resident types to live and work in the three units. This is meant to further provide grounds for necessary programs that accommodate each resident's live and work needs from offices to studio spaces, gardens, kitchens, etc. The balance between the existing and new are highly encouraged to drive design decisions. This studio will investigate the representation of site and architecture through an intensive study of the horizontal, the vertical, and the oblique. 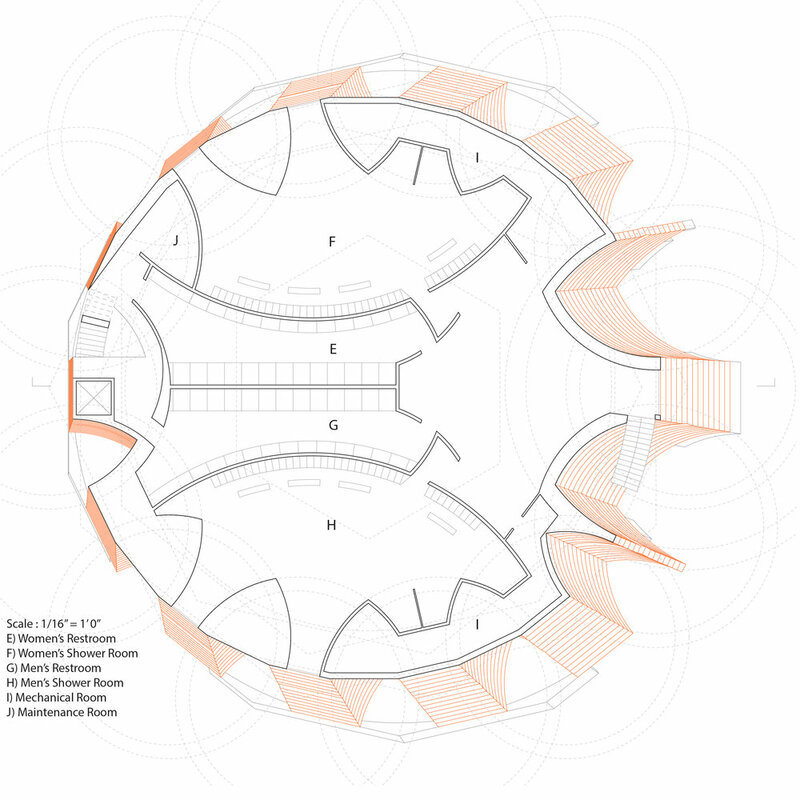 It will ask students to develop and test drawing and modeling strategies that synthesize site and architecture through singular drawing practices. It will argue that in order for architecture to engage site and environmental conditions it must first operate within the same representational field. 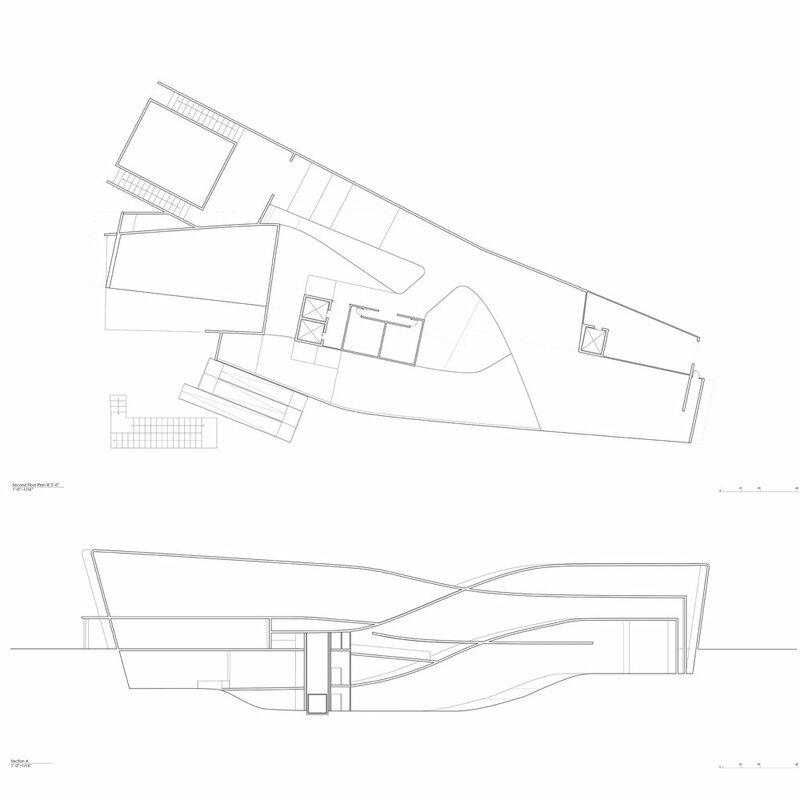 Students will be tasked with drawing site and architecture through identical processes. 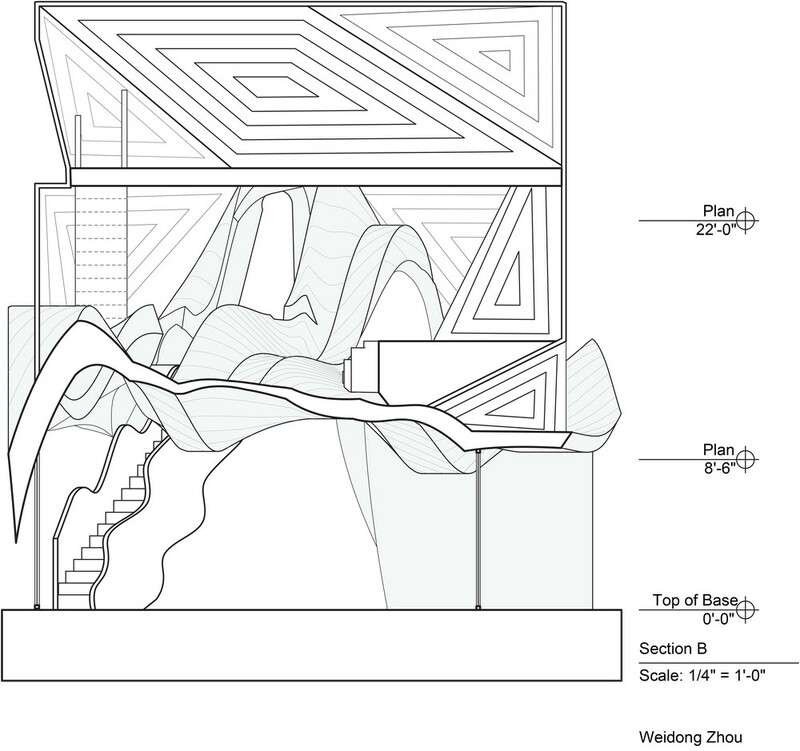 As a core studio in the undergraduate curriculum the categories of horizontal, vertical, and oblique will be used to develop students' representational, conceptual, and technical understanding of architecture's relationship to site and environmental conditions. Architectural representation and consequently the practice of making architecture is bound to planes. Everything that is subjected to the analytic rigors of architectural drawing, regardless of its three-dimensional complexity, is compressed to two dimensions. What was once volumetric, plump, or a bit furry inevitably finds itself confined to an infinitely thin plane whose sole purpose is to make all things measurable. 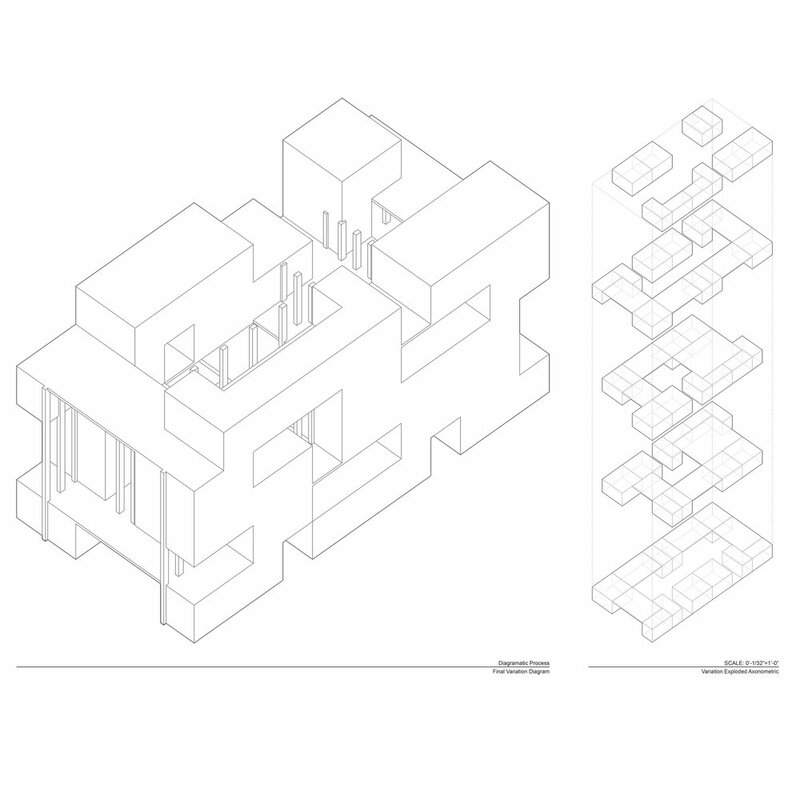 Architectural representation has deployed three specific planes to accomplish this task: the horizontal, the vertical, and the oblique. The horizontal plane corresponds to the plan and the top-view. 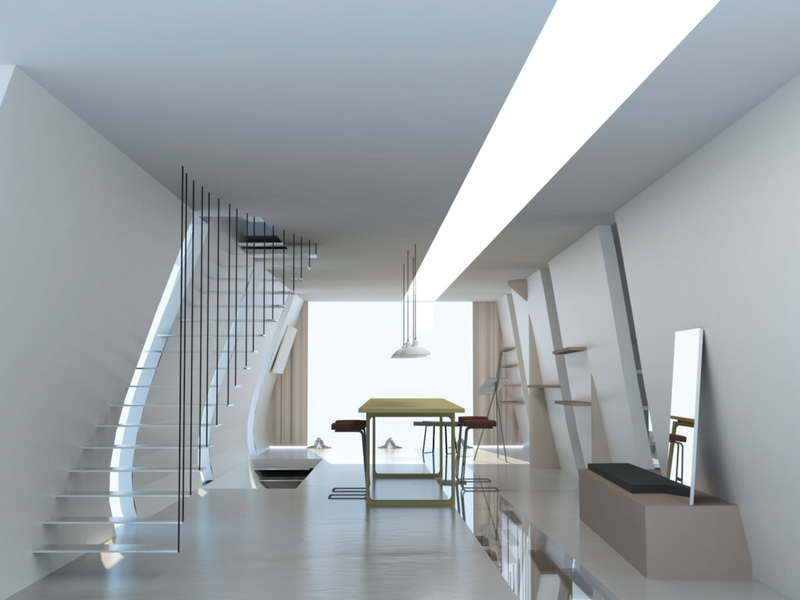 A plan is a horizontal section, typically cut three-feet above the level of the floor. It shows only things that occur below the imagined cutting plane. One plan is typically needed for each level of a building. 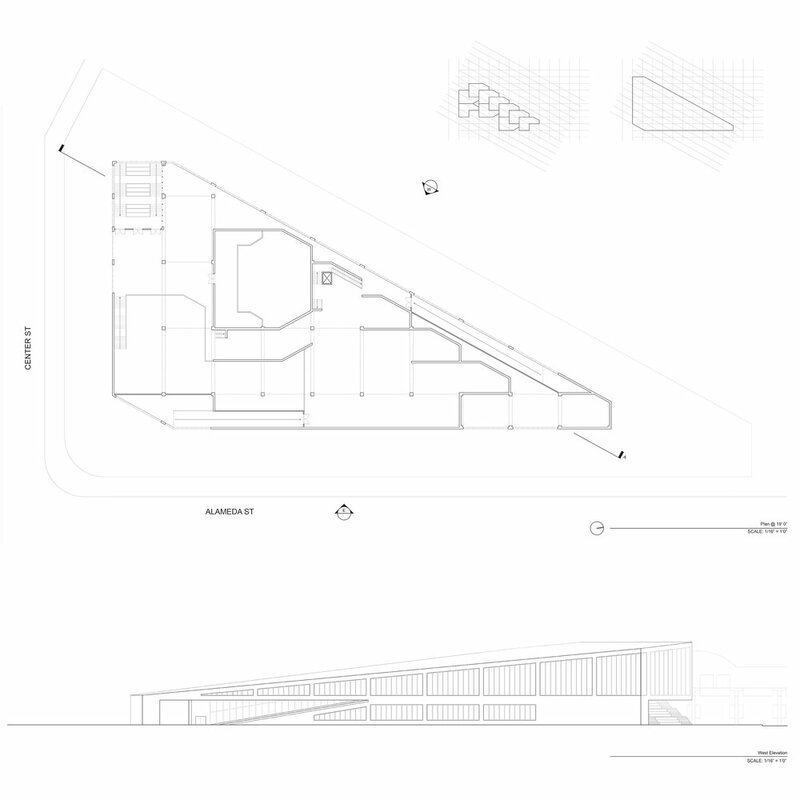 However, the horizontal can also be combined in aggregate to describe forms that are more complex than a building. Specifically, the horizontal is used to describe the ground through an accumulation of horizontal cuts referred to as contour lines. The vertical plane corresponds to the section and the elevation. A vertical cut is passed through the object and the site to demonstrate not only the interior organization of the architecture but also its relationship to the ground. It collapses the three-dimensional depth to a single plane on which only the information that has actually been “cut” can be considered true. The oblique plane occupies a three dimensional space. It cannot be described by a single orientation, because it is moving in two directions. 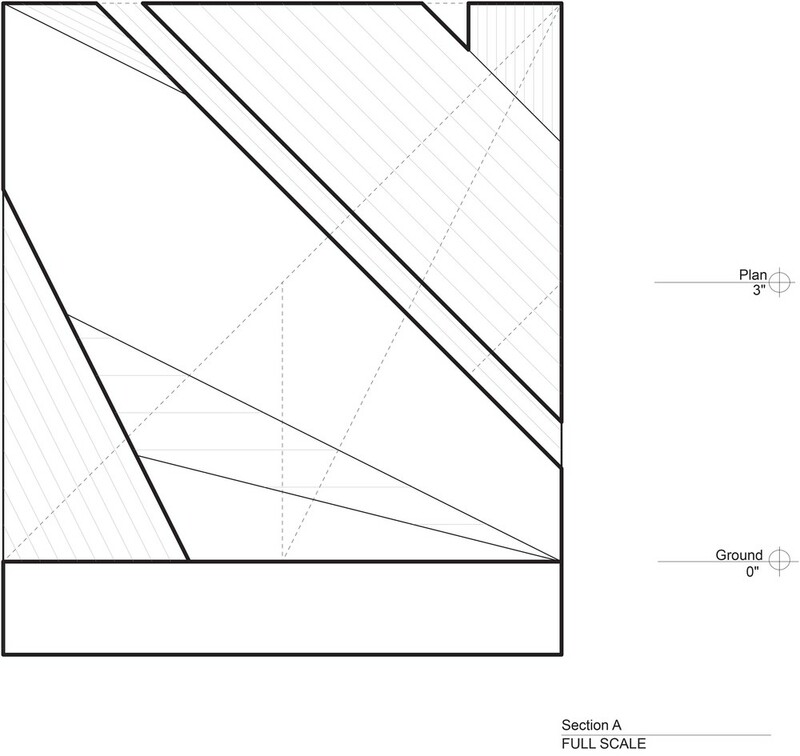 Cutting with an oblique plane can yield representations that describe the full depth of a building or landscape. While the purpose of the vertical and the horizontal is to provide true dimensions, the oblique focuses on the relationships between objects on the “x”, “y”, and “z” axis. The aim of the 1A Design Studio is two-fold: 1. to introduce students to the discipline of architecture, and, 2. to provide a technical foundation for engaging in the practice of architecture. 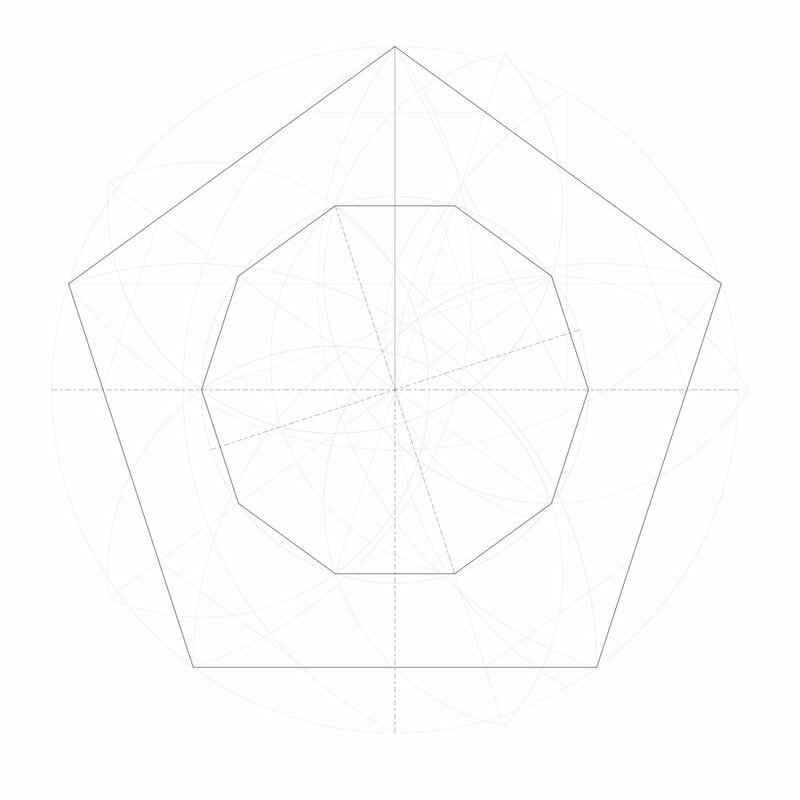 Project one introduces students to fundamental techniques of geometric control towards the production of architectural form. Project one also introduces students to fundamental ways of representing geometry and form in two-dimensional and three-dimensional media. Beginning with a three dimensional grid at one inch intervals, each student will produce four variations of the cube using only straight lines (black), four variations of the cube using curved lines (white), and four variations of the cube using both straight and curved lines (grey) for a total of twelve variations. Each variation will be physically modeled using a range of techniques and each variation will be drawn in two dimensions and printed on paper using a range of standard drawing types. Project two challenges students to negotiate the formal outcomes in the first project against the contextual realities of a program and a site. In addition to understanding the formal consequences of geometry, each student will now be required to also understand the spatial consequences of form. A feedback loop will be established between geometry, form, and space that pushes design forward in a nonlinear manner. Beginning with one of the grey models from project one, each student will produce a fine grain of formal articulation that responds to issues of egress, use, and site. Additionally, the formal articulation developed in project two is expected to enhance qualities of space. The final design proposal will be modeled physically in three-dimensions and will be drawn two-dimensionally using a range of standard drawing types.